The biggest winter event ever! The Avalanche 2017 12th edition event GC6Z813 will take place on Saturday March 4th, 2017 from 10 AM to 3 PM at Parc Régional Éducatif du Bois de Belle-Rivière in Mirabel, 45 minutes north of downtown Montreal. The Parc Régional Éducatif du Bois de Belle-Rivière is a partner of the QGA since the beginning of the partnership program. This park offers many activities to its visitors and geocachers will enjoy them during the 12th edition of the 2017 Avalanche event. 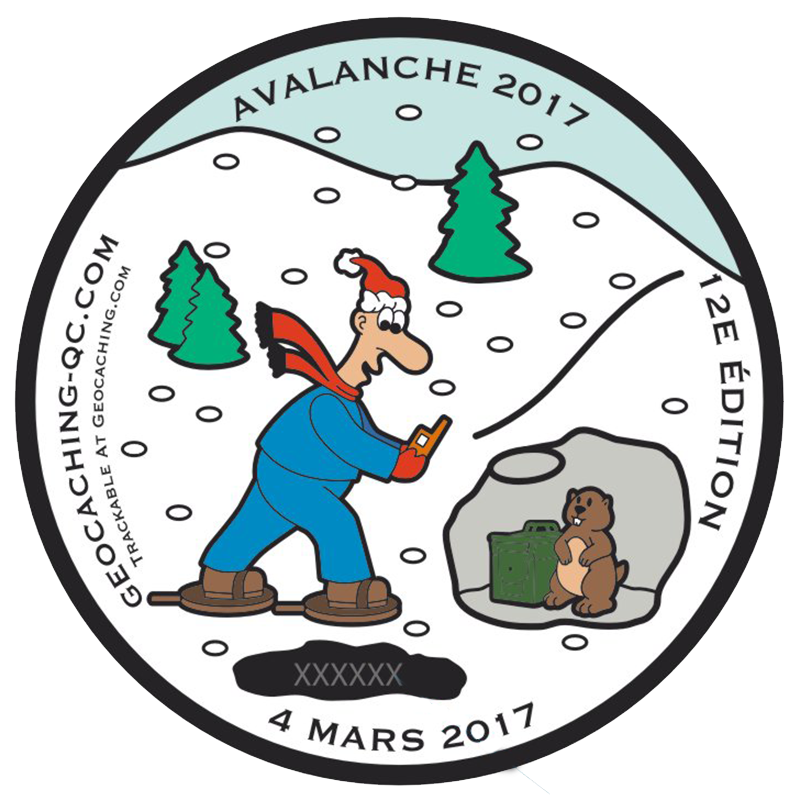 The pre-sale has begun for the Avalanche 2017 geocoin. This beautiful trackable geocoin features "Avalanche" the geocacher in his adventures and the snomen family ... in the south ! Visit the Géoboutique on the AGQ website for more information. And above all, hurry up because this geocoin is in limited quantity. Less than two weeks before the Avalanche 2017 Event ! Have you sent your "Will Attend" ? It's not too late: join us at the biggest Winter Event ! Only a few days left before the Avalanche 2017, 12th edition, the biggest winter event in the world ! The volunteers are hard at work to offer you a fantastic day ! 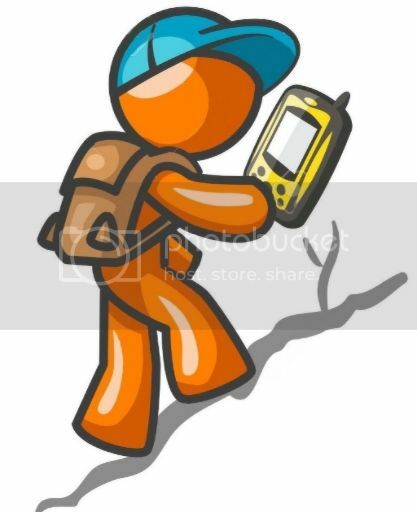 We are happy to announce that we will be giving away a GPS during the event. Do not miss it ! We will see you at the Avalanche ! Please note that for the caches outside the Parc du Bois de Belle-Rivières, there might be a few ditches to cross. 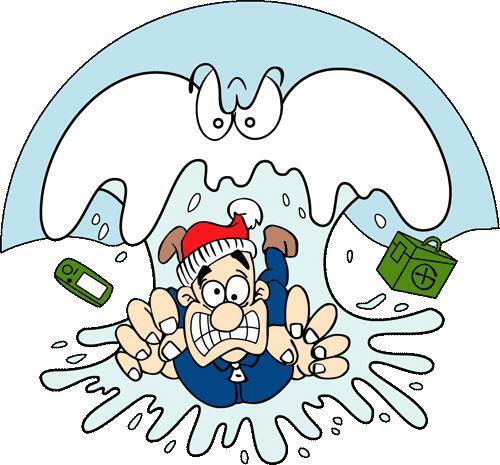 In light of the recent warm weather, you might need your water boots or snow shoes... who knows ?! 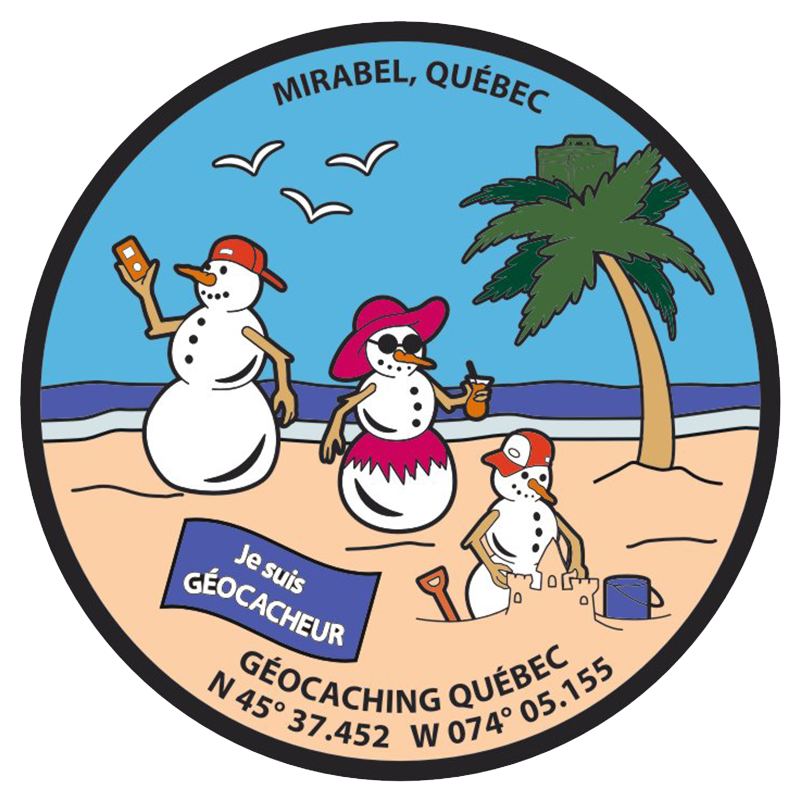 Do not miss this super Ne manquez pas ce super Winter Geocaching Event ! The biggest of its kind !